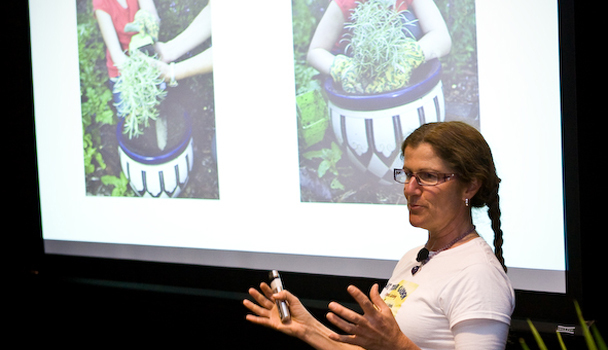 Leonie's wealth of experience in regard to Children's Edible School Gardens has been appreciated and valued at Local Council Workshops, Community Groups, Queensland (Nambour) Home Garden Expo (annually, and even the National Conference of Community Gardens & School Gardens plus many more. Teacher Training, Parents/Volunteers garden workers training. Permakids Workshops (gardening and natural awareness workshops for kids), No Dig Garden demonstrations, Hands-on workshops and more... Please click on the sub pages in this section of the website to see more examples of the sort of workshops available. I have spoken all around the country on both Edible School Gardens and Permaculture in your own backyard. Veggie Village and the various Sunshine Coast Regional Council 'green' functions like the 'Living Smart Expo' in years past see me as a regular contributor with both Workshops and Speaking engagements. 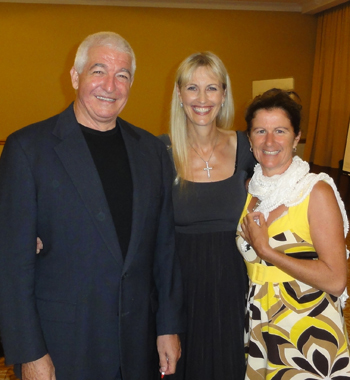 Being passionate about children's education has also seen me involved with the likes of Permakids for nearly a decade. Many adults have also benefited from hearing and seeing me at the annual Queensland Home Garden Expo 'Kitchen Garden'. Always check the 'News' area here on site to see where I will be next as it may not be on the Coast, Melbourne, Sydney and Far North Queensland have also seen me visiting. Consultancy: I am also involved in providing one on one advice to both private residents gardens and also corporate team development workshops. Business will find great benefit in having their key staff get out from behind and desk, getting down and dirty, out in the Sunshine in the likes of a local School Garden, experiencing a different type of 'teamwork' and helping the Community at the same time. Very fulfilling! 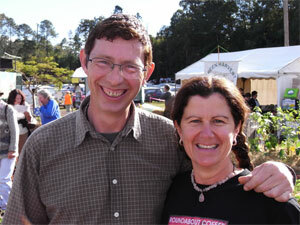 Graphic: (Top left)Jerry Coleby-Williams of Organic Gardening Australia and ABC Gardening Australia presenter (ABC TV) with Leonie Shanahan, both presenters at the 2008 Queensland Home Garden Expo.